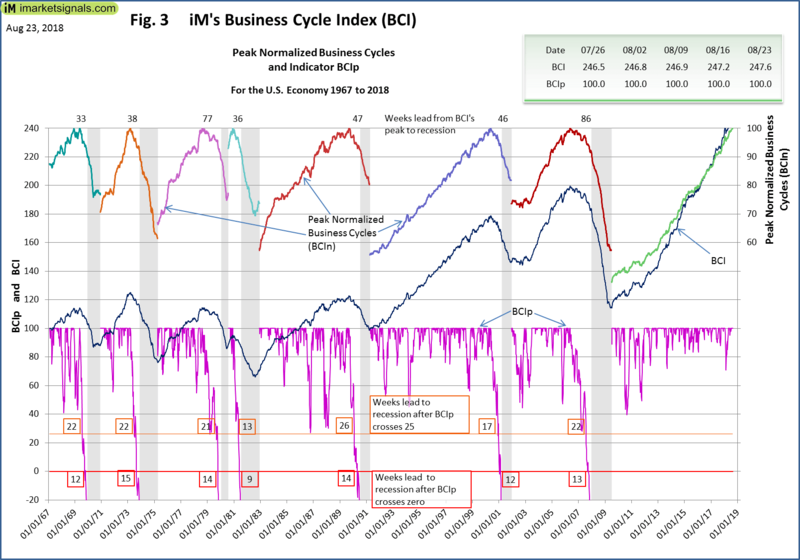 The BCI at 247.6 is above last week’s upward revised level of 247.2, and formed a new high for this business cycle indicated by the BCIp of 100. 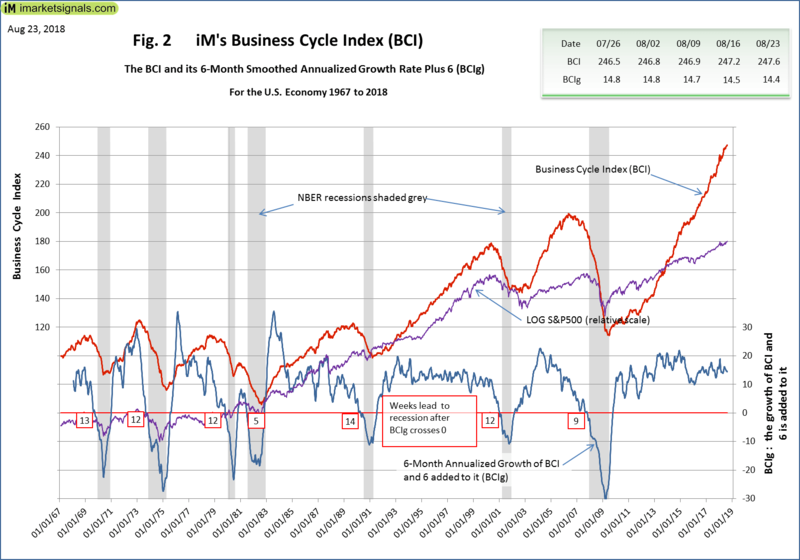 However, the 6-month smoothed annualized growth BCIg at 14.4 is below last week’s upward revised 14.5. 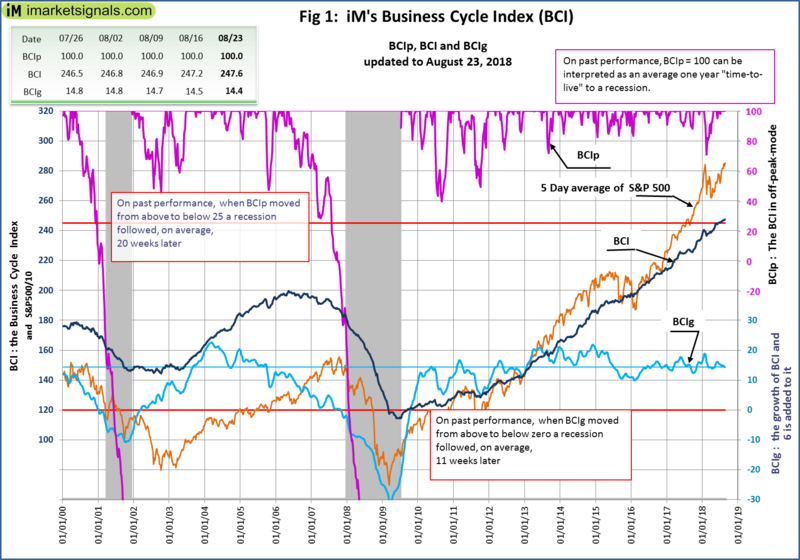 Both BCIp and BCIg are far away from signaling the next recession.